Accelerate the flywheels up to a constant speed and hold that velocity for part of the cycle — this is constant energy input. Allow the motor to coast, enabling the energy to be converted from the flywheels, just like the inertia cycle. Apply the forge force by pushing the pieces together to convert this rotating energy into heat through friction. The heat softens the part, which begins to extrude material out from the parent materials, and we get welding upset, like in direct drive and inertia cycles. Welding upset occurs when the two materials begin to forge together, and as they are pushed into one another, both sides experience material softening. Both materials combine to complete the solid-state forging, while excess material from both parts is pushed outward into what is called upset. 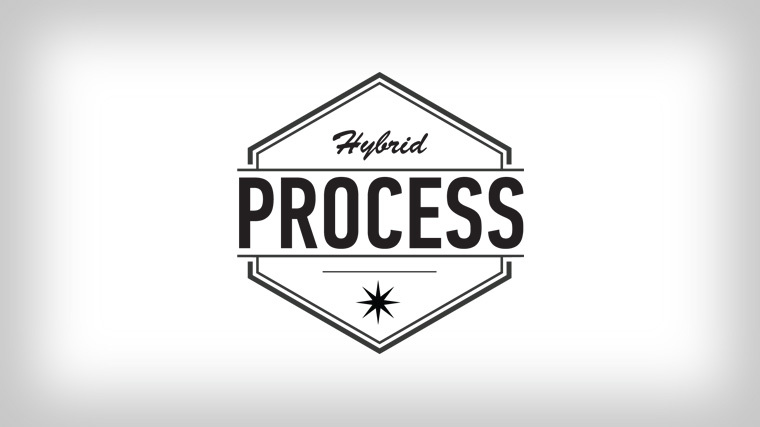 Why use the hybrid cycle? When working with a large diameter tube, which could potentially be a high torque application causing stress on the motor, the flywheels provide the benefit of making sure the motor doesn’t stall due to excessive force. Conversely, when working with a very thin-walled tube that could easily be crushed or damaged due to excessive torque, a low forge force can be applied to ensure there isn’t excessive torque at part contact. This ensures the part can be welded correctly without distorting it. 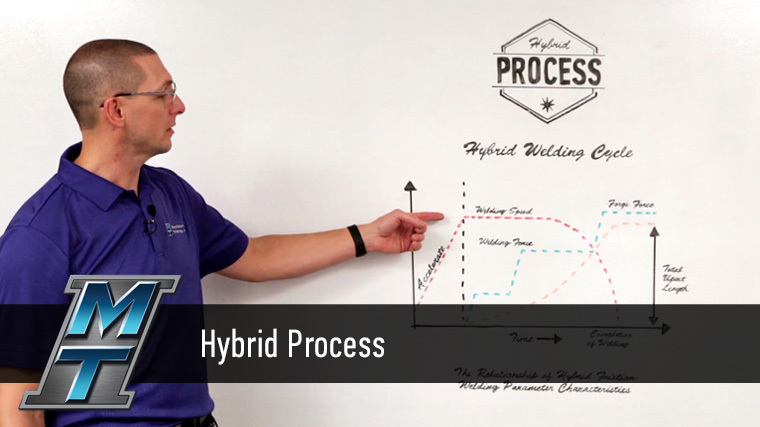 The hybrid friction welding cycle provides flexibility to use these different variables and optimize the welding process for a particular application. This opens the door for much more challenging applications with one technology. MTI develops and works with these friction welding processes and many more to solve manufacturing challenges every day. Our expert engineers can identify the correct joining processes to suit the needs of your application. Contact MTI today to see how we can work together to custom design a plan that works for you. We’ll build a machine that makes your part, we’ll make the part for you, or we’ll help you make the part even better. To learn more about friction welding, explore our process or watch how friction welding can be put to work for you.